Mr. Poelma’s main areas of practice include complex commercial litigation, subrogation, and real estate. His civil trial docket has broadened his exposure to vastly different areas of the law including professional liability, product liability, construction, maritime/admiralty issues involving both property damage and personal injuries, complex issues involving oil and gas exploration and production both on land and offshore, as well as contractual interpretation and indemnity issues. 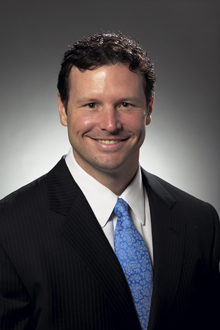 His practice includes litigation in both federal and state courts. As a direct result of working hand-in-hand with both domestic and foreign insurance carriers as well as domestic and international corporate clients, he has developed a detailed understanding of the differences in the various markets and business practices. This knowledge and experience has allowed him to establish excellent working relationships with his clients, adjusters and carriers with assorted backgrounds and goals and likewise tailoring his professional services to their respective unique needs. Obviously, most cases settle well before or during trial. Mr. Poelma has helped his clients obtain hundreds of millions of dollars both in trial and through settlement, or helped defend against claims which could otherwise cripple a business from remaining a going concern. Mr. Poelma is licensed in state and federal courts throughout Texas, and has been admitted pro hac vice in state courts throughout the continental United States. Cause No. 2010-24020; Innova Holdings, Inc. v. E.E. Reed Construction, L.P., et al. ; In the 157th District Court of Harris County, Texas. Co-counsel for a commercial contractor sued for damages in excess of $2,000,000.00 resulting from a purported construction defect which materialized following Hurricane Ike. Final summary judgment granted in favor of client on all of plaintiff’s causes of action based on subrogation waivers and applicability of the economic loss doctrine. The case settled on appeal prior to the filing of any briefs for an undisclosed amount. Cause No. 2005-34919; Underwriters at Lloyds, et al v. Edmond, Deaton & Stephens Ins. Agency; In the 165th District Court of Harris County, Texas. Agent made material misrepresentations on application. Sought payments made under policy following fire. Co-Lead Trial Counsel in 5-day trial. AAA No. 70-114-00742-04; Harold Cody, et. al, v. Lone Star Pad Service, Inc., et al. Counsel for plaintiff in commercial litigation involving fraudulent business practices by a multi-state franchisor. As third-year law student, prepared case and co-chaired 3-day hearing. Award for Plaintiff. As lead counsel for an international antiquities dealer, sought damages from national freight company when a truck load of 16th, 17th and 18th century antiques were destroyed in transit from New York auction house to retail center in New Orleans, Louisiana. Obtained settlement for 100% of claimed damages prior to trial. As lead counsel for Swiss distributor of oil and gas pipeline products, obtained settlement from manufacturer of extruded anti-corrosion materials for damages resulting from the breach of supply agreement. As lead counsel for local retailer asserting claims against its insurance carrier for improper claim settlement practices involving a dispute over the interpretation of a provision contained in the commercial liability policy: obtained a settlement for approximately $700,000.00 in additional losses covered by the policy. Representation of client also resulted in the insurance carrier’s revision to the company specimen policy for its entire line of commercial general liability policies. As lead counsel for a private charter company obtained recovery of all sustained damages stemming from the negligent repair of a 100ft private yacht including the diminished value of the fully repaired yacht, damages for interruption of business operations, and legal fees incurred in litigation.